Hollywood’s dystopian movies would have you believe our future looks like the dark Los Angeles of Blade Runner or the grey concrete jungles of Metropolis. But the work of University of Melbourne urban ecologists paints possibilities more like Hobbiton in Lord of the Rings or Theed on the idyllic planet of Naboo in Star Wars. Associate Professor Mark McDonnell believes urban ecology is the discipline of the future, bringing geography, ecology, landscape architecture and urban planning together to create cities where people and biodiversity can thrive together.“Global urbanisation and global climate change are the two biggest threats to humanity in the future,” says Associate Professor McDonnell, the founding Director of the Australian Research Centre for Urban Ecology, created in 1998. A rapidly growing body of knowledge shows people benefit enormously from nature in cities, from the shade and natural air-conditioning of trees, to the psychological boost that natural views give workers, to the role of gardens in managing stormwater.Densely populated Australian megacities will be part of the future as the continent’s population grows to an estimated 50-odd million people by the end of the century. With nine out of 10 Australians living in cities, the nation is already one of the world’s more urbanised countries. He is concerned Australia may be headed down the path of some industrialised cities overseas, where accommodating more people and industries has come at the expense of the parks and gardens that are vital for the wellbeing of both humans and wildlife. “All these old industrial cities, like Detroit and Philadelphia, are rotting from the inside out. People don’t want to live there anymore. People want to live in green cities. People love the German and the Scandinavian cities. They’re designed for people. Rents are high and people are still moving in,’’ he says. Associate Professor McDonnell praises the projects and leadership of the City of Melbourne, including their Urban Forest Strategy and its involvement with the practical Growing Green Guide. Where you might see parkland, gardens and beautiful urban vistas, Associate Professor Nick Williams’ expert eye sees ‘green infrastructure’, providing valuable services that help make our cities more liveable. Associate Professor Williams, project leader at the Clean Air and Urban Landscapes Hub and the Green Infrastructure Research Group in the School of Ecosystem and Forest Sciences at the University of Melbourne, says there are cold, hard, rational economic reasons for investing in green infrastructure, the living parts of cities. “It can reduce the cost of the way we build our cities,” he says. “For example, if we put green infrastructure in we can have potentially less storm water infrastructure or pay less for air-conditioning our city. Similarly, Associate Professor Williams says that areas with greater proportions of green space can have surface temperatures up to 10 degrees cooler than comparable paved, concrete or asphalt spaces. He is concerned that the trend to denser populations in inner cities is leading to a net loss of greenery. Associate Professor Williams puts it bluntly: “If we remove all greenery and replace all the soil with impervious surface, such as concrete, we’ll have more flooding. It will be hotter. And these things will kill people. To help identify where vegetation is most needed, Dr Amy Hahs maps the patterns of small and large parks, gardens and urban greenery alongside other features of our cities and suburbs, such as housing, roads and information about the people who use them. Dr Hahs, a GIS ecologist at the Australian Research Centre for Urban Ecology and the School of BioSciences, University of Melbourne, describes parks in cities as magnets that attract people and wildlife. “If you build a park in a disadvantaged community there’s a danger that you’ll eventually displace that community as people become interested in living nearby and property prices go up,” Dr Hahs says. 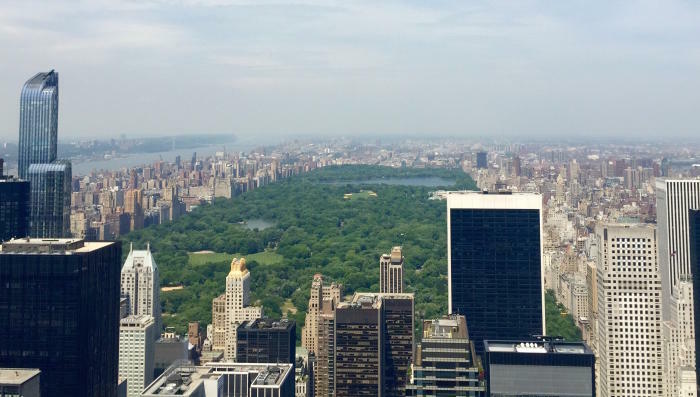 “In the 1800s and early 1900s there was a strong push to understand the importance of those really large parks, such as Central Park in New York, or ‘emerald necklace’ strings of parks like those in Boston. Dr Hahs is interested in finding the right balance between the living and built elements of urban areas as our cities grow to megacities. “Taller buildings will change light levels, rainfall reaching the ground in windy conditions, wind patterns and air movements,” she says. 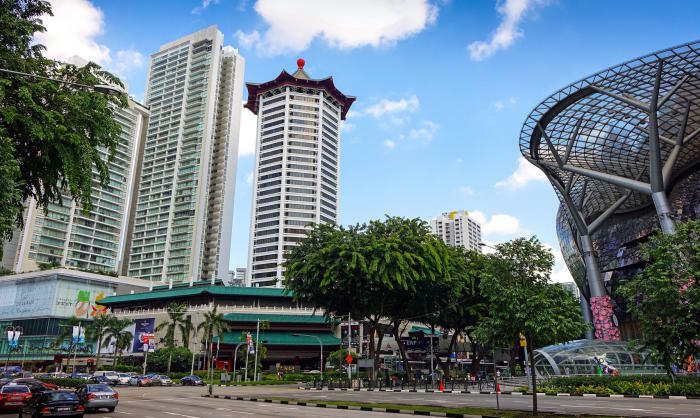 Space constraints of Singapore, she says, are leading to innovative architecture, with tall buildings that use contours and plazas to allow air movement at ground level for cooling, controlling wind speeds and promoting good growing conditions for greenery. Associate Professor Williams predicts future cities will also lose the grey expanse of roads and car parks as these give way to green infrastructure. Local government planning is where the rubber hits the road — or perhaps the seed hits the soil — for urban ecology. The City of Melbourne is partnering with the University of Melbourne so that parks and gardens can serve as ‘living laboratories’, providing real-time data on biodiversity in the city and the benefits provided to its residents and visitors. “We’ve got a rich brains trust we can draw on to help the changes we’re making to our city on a daily basis,” says Yvonne Lynch, team leader urban forest and ecology at the City of Melbourne. Already, the city is repurposing poorly used inner-city roads as new parkland. And Melbourne has gained international attention and won awards for its Urban Landscapes Adaptation Program. But it’s not finished. With solid evidence and growing experience, and plans and policies for more greenery in the city, the sky is literally the limit.